It's April, and I'm just now catching up on some RSC17 projects. 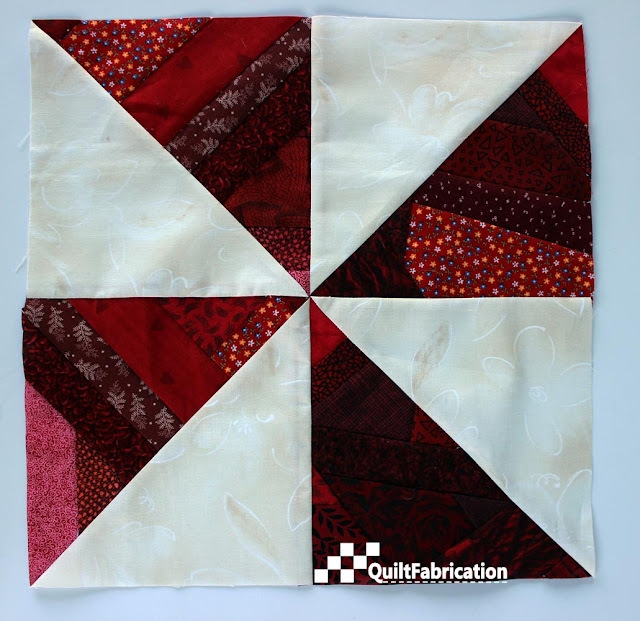 Red scraps, the color choice for March, have been made into a pretty, vibrant pinwheel! 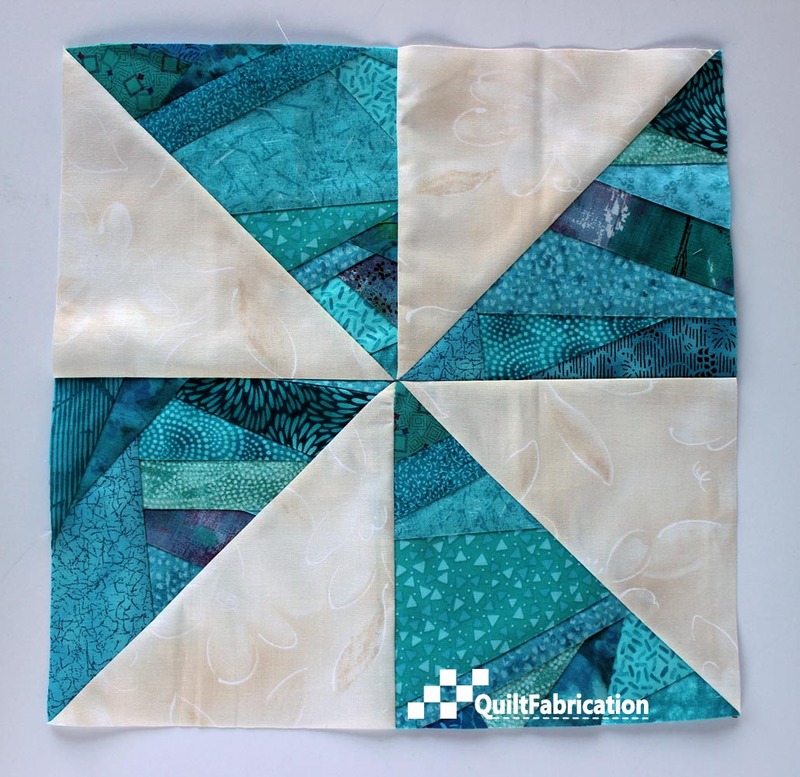 While making it, I realized I hadn't made the February aqua pinwheel. So here it is, just as pretty as the red one! Remaining scraps still need to contribute to small pinwheels, and circles. And even after those are made, there will still be scraps! Guess I devoted too much time to Diamond Chevrons and Garden Stars this last month to create any new quilts. For April, the choice is multi-colored fabrics, which I'll tackle later after I dig them out from deep in the scrap bin. For now, I must get back to quilting Santorini - see you tomorrow on Midweek Makers! I really like the scrappy pinwheels. It's a great use of bits.